I don’t have any idea what’s going to happen today. Two games, four teams, and the possibilities seem infinite. Two games have come and passed, but Group G remains a mystery. It seems to me that any of these teams is capable of doing anything this afternoon. The World Cup was built for days like this, and if I was a neutral observer this would be a joyous occasion. But I am an American and until 12 p.m. (and probably for some time after) I am in hell. Join me, please, in the uncertainty and the chaos. I didn’t want it to be a penalty. It took about 10 views before I allowed myself to see that yes, Giovanni Sio committed a foul on Georgios Samaras in the box. Greece beat the Ivory Coast fair and square, but I so deeply wish they hadn’t. 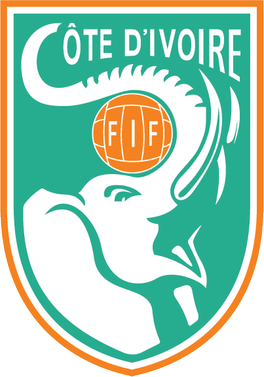 Les Éléphants were a lively presence in this World Cup, showcasing the skills of Gervinho and Yaya Touré and the percussion talents of their supporters. This sport can be horribly cruel sometimes, and it’s been sadistic for the better part of the past decade to the Ivorians. Blessed with more individual talent than any African side in history, fate and circumstances seem to have conspired against them. 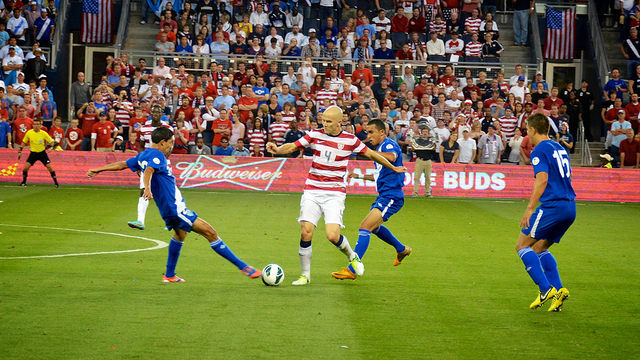 No one will deny that Michael Bradley had a dreadful game against Ghana. When the USMNT desperately needed to maintain possession upfield, Bradley gave the ball away with an alarming regularity. That’s not like him, and he’d be the first to say that he needed to be much better against Portugal. He was, but a late mistake has largely overshadowed that performance. It is a perverse sign of progress that the US is looking for a scapegoat after a draw against Portugal, but some fans are blaming Bradley for the result. Yes, it was Bradley who lost possession in the build-up to Portugal’s stunning equalizer, but the criticism he’s facing is largely an overreaction. Calls for him to be benched are silly. The USMNT was 30 seconds away from advancing from their group after just two matches. Points 4, 5, and 6 were within their grasp. And then Cristiano Ronaldo did something about it. Silvestre Varela’s header, deep into stoppage time, denied American victory after one of the best halves in the history of US Soccer. So why am I smiling this morning? 12 years ago, the USMNT shocked everyone by beating Portugal. At 5:00 a.m. Eastern Time on June 5th, 2002, an unheralded U.S. men’s national team kicked off its World Cup against Portugal. At 5:03, John O’Brien scored for the U.S. By 5:36, the Americans led 3-0. The only previous time the United States faced Portugal in the World Cup, it ended in a 3-2 U.S. victory. That was 12 years ago, and only two players from that match will be at today’s game: Damarcus Beasley is now a left back, Paulo Bento is now managing his national team. But there are lessons to be learned nonetheless.